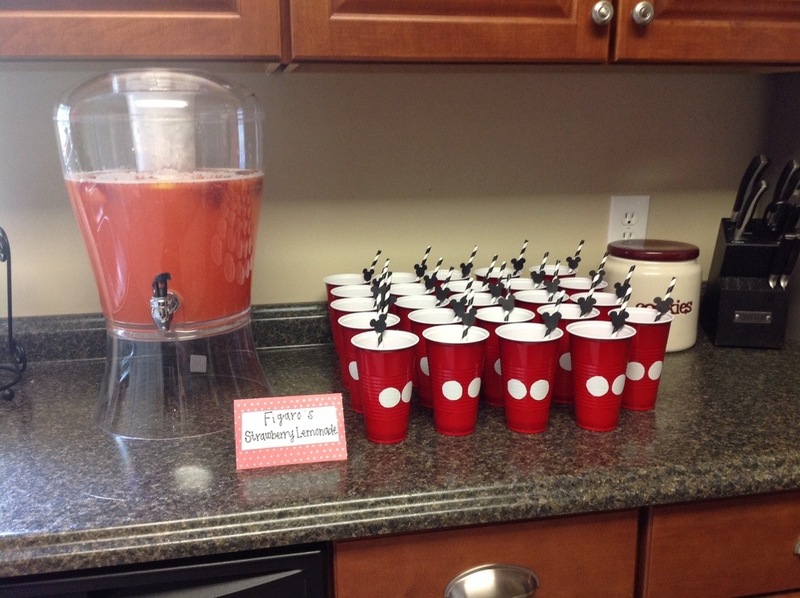 I made this punch for my baby shower and it was a huge hit with everyone! Definitely one I’ll make again! – 2 packages frozen strawberries, thawed (16 oz). – 2 cans frozen lemonade concentrate (12 oz). 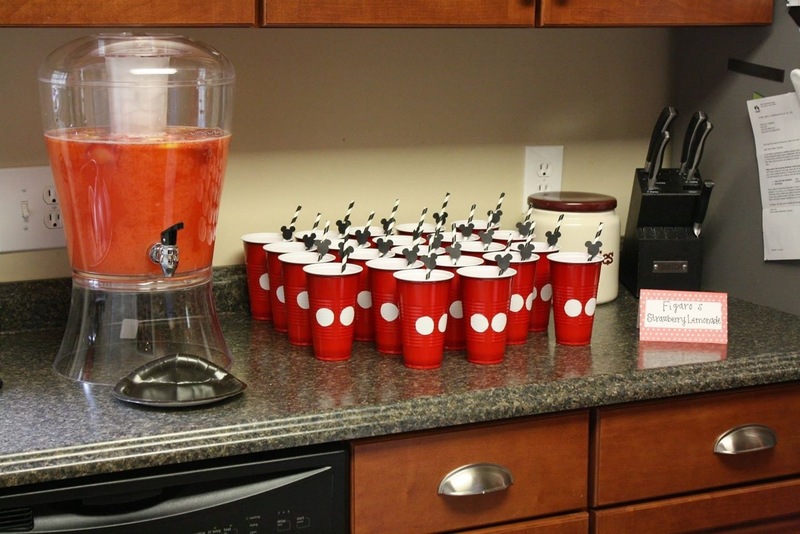 In a blender, blend strawberries, sugar, and thawed lemonade concentrate. Pour mixture into large punch bowl and add in the chilled soda. Stir and top with fresh sliced lemons. Enjoy! – 4-5 cups of strawberries (For half of them, I just pulled out some frozen ones and let them defrost in the bag, making their own juices). The other half I used fresh, this was mainly just because it was what I had around. – sugar, to taste, I think I did about 3-4 cups since it’s quite a bit of liquid. Begin by opening your cans of lemonade and pouring them into your decanter/punch bowl. Next, pour the water over the lemonade and give it a stir. Blend the frozen and fresh strawberries together with a teaspoon or two of sugar and a little bit of water. Make sure it’s really well blended and is basically a liquid, it’s ok to have some chunky parts though. The unpulvarized bits are yummy actually and add a nice texture. 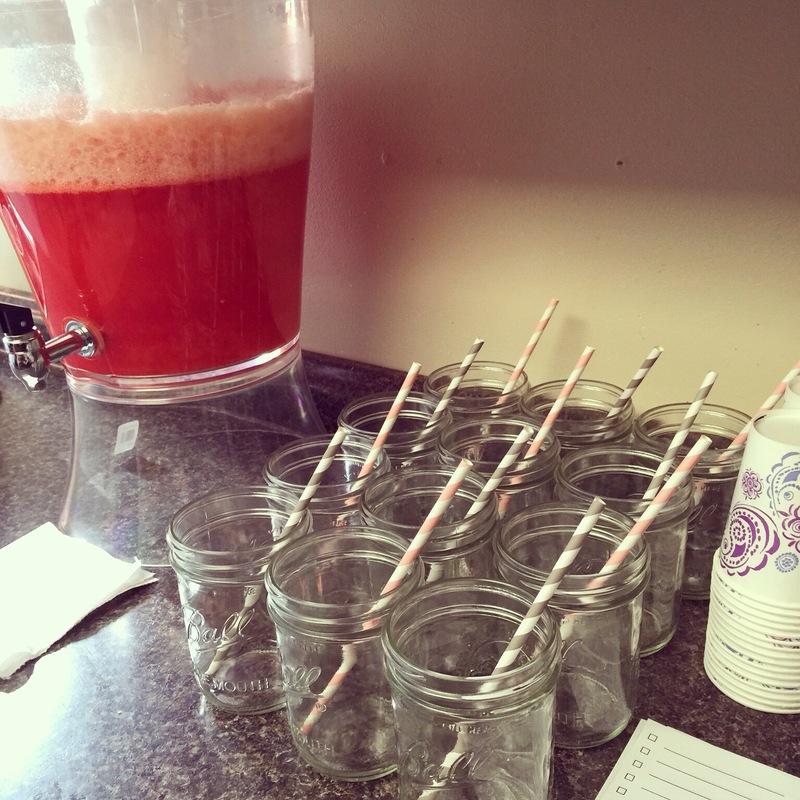 Now, mix your strawberry purée into your lemonade. Add in your sugar and make sure you dissolve it completely. I would start with about 2 cups, taste and adjust accordingly. Place your lemons and some of your fresh strawberries to float on top. I apologize that I did not get any closer pictures of the Strawberry Lemonade. You at least can get an idea of the size of decanter I used).